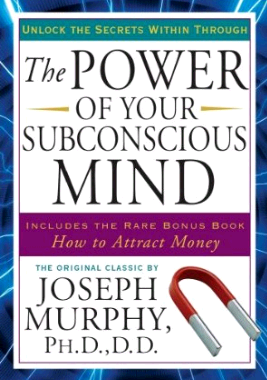 My sister, Tracy, was excitedly reading The Power of Your Subconscious Mind by Joseph Murphy. So, I figured that I needed to read it, and I am soooo happy that I did. 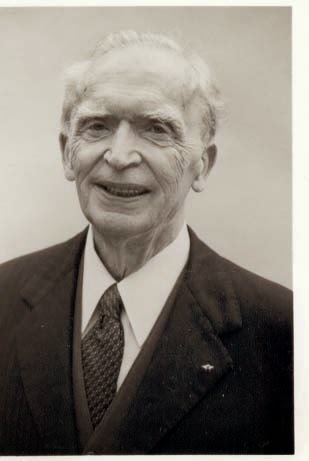 According to The New Thought Library, Joesph Murphy spent years studying all types of religions, and he came to the conclusion that all religions have one thing in common and that is "The Power is Within." In The Power of Your Subconscious Mind, Joseph explains that our conscious mind is the part of us that reasons; it knows that smoke means fire, wet means water, tired means rest. However, he argues that there is another part of us that is called the subconscious mind that does not reason, it accepts whatever we tell it. For instance, if you tell your subconscious mind that someone hates you, it believes that statement without proof, and you will act on it. Also, if you tell your subconscious mind that you are happy, it will also accept this statement without proof, and you will act that out as well. Upon first reading this, this all appears far to simple right? But, why do many of us believe that everything must be difficult? Joesph is proposing that we can use the power of the subconscious mind to heal our bodies and our relationships; attract wealth, success and healthy people into our lives; be young forever; to rest at night; to be happy; to forgive; to remove fear. He is basically proposing what so many other books such as The Power of Intention by Wayne Dyers proposes: "If you change your thoughts, you can change your life." My people, I have been envisioning how I want my life to be. I love my life now, but there are things that I am believing God for, and I have been envisioning those things, thanking God for them, and affirming that it is already done. So, I was told by a doctor that I have eczema, which is basically irritated skin, and let me tell you that it has been acting up and particularly under my arms which is consistently dry and wet. After reading the healing section in this book, I've been confessing every night that "By his stripes I am heal!" and "My body knows how to heal itself, and I am thankful for the healing that is taking place." I have also been making sure that I use moisturizing bath wash and moisturizer on my skin. My People, my eczema is almost completely healed. I believe that it is getting better, because I believe with my whole heart that my body has the power to heal itself....It has healed bruises from cycling, a hurt knee, sores etc. 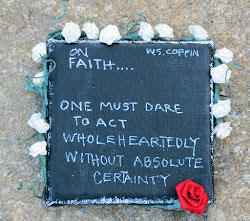 Proverbs 23:7 states that "for as he thinketh in his heart, so is he."